How can a foreign policy forged through lies, deceit, and blackmail ever succeed? Someday soon the American people will wake from the big coma they suffer from collectively, only to wonder at what could have gone wrong. Whether you watch the “fake” or “real” news these days, insanity stares back at you from your smartphone screen. Here’s a window looking in on the madness. The madness that may destroy America’s friendships abroad, it is at hand. Excuse my mind vomit here. The Israelis create an open-air prison in Gaza to house hundreds of thousands of Palestinians. The White House lets the IDF take target practice on unarmed civilians on a day to day basis. Israel blockades the Gaza causing a humanitarian crisis that is unprecedented. Benjamin Netanyahu and the Israeli lobbyists in Washington wiggle a controlling hand,and a US president withdraws the trickle of hope? Palestinian children will certainly die because of this. IS ANYBODY WATCHING? This is my question. Forget for the moment that Trump has put his real estate investor son-in-law Jared Kushner in charge of the Israeli-Palestinian peace process – that fact is only an insult to yours and my intelligence and to the Palestinian people. I won’t get into Kushner’s ties to Goldman Sachs or George Soros. What’s more important to understand is the absolute “end” of a two-state solution in Palestine. You read that correctly. Back to Trump’s son-in-law and Israel’s chip in the peace process. Charles Kushner, Jared’s dad, was once of Bibi Netanyahu’s best Orthodox Jewish pals when it came to West Bank Settlement. The New Yorker story goes on to lay out Netanyahu’s pulling strings in Washington and forging unlikely alliances with Saudi Arabia and the United Arab Emirates in order to combat Iran. 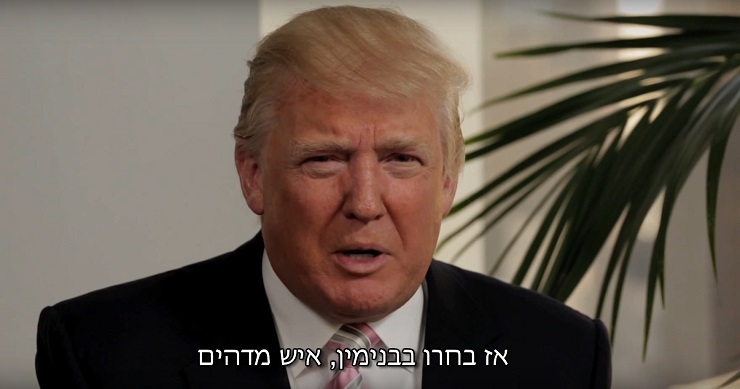 Trump is in Netanyahu’s pocket, this is the overall message I am trying to relate here, but there is another message. No, I am not making any of this up. For those of you focused on Vladimir Putin and Russia as the enemies of America, I urge you to consider the mean-spirited little bully hiding in the corner of the world playground. Excuse the metaphor, but Israel really does fit the scenario from all our childhoods. Israel, with Washington and the Gulf states standing behind, will soon eradicate any dream Palestinians had to a fair settlement of this gruesome affair. God knows what will become of them. This is my assessment. The world has turned a blind eye. The United Nations has no teeth in the matter, and therefore no validity or jurisdiction in any of our affairs. Israel winning it all may at first appear as an American victory, but the real hegemony will be revealed. And I’ll leave that story for another time.